For patients at risk of falling out of bed, special measures must be taken to ensure their safety. 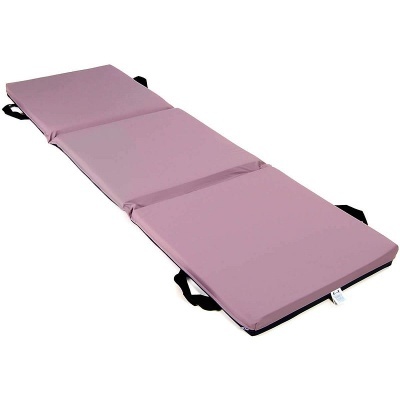 Aside from the use of bed rails, a crash mat should be placed on the floor to soften any impact in the event of a fall. The Harvest Folding Crash Mat with Non-Slip Backing provides the same level of safety as standard crash mats, with the added benefit of folding for easy storage when not in use. Crash mats are only necessary when a patient is in bed, so for the rest of the day they must be stored away to reduce tripping hazards. This mat is made specially for this purpose, with a foldable design that minimises hassle while maintaining safety and protection. As an added bonus, the underside of this mat has a non-slip coating, ensuring it will stay in place when you need it to. This fall mat is ideal for use with Harvest Low and Ultra Low Beds. 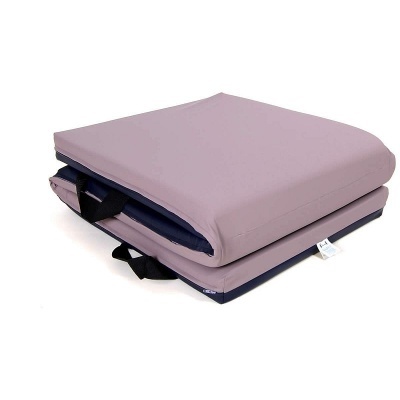 When used with these low profiling beds that are closer to the floor, the patient can simply roll out of bed and onto the mat, all but eliminating the risk of serious injury. Crash mats and low profiling beds used together represent an excellent solution to problems associated with patients prone to bed falls. When it comes to caring for foam cushions, both protection and breathability are crucial. The cover supplied as standard is waterproof, ensuring that no fluids or spills will cause long term damage to your mat. In order to maintain the bounce-back and shape of the foam over time, the cover is vapour permeable, allowing for air to freely pass through the area between the cushion and user.